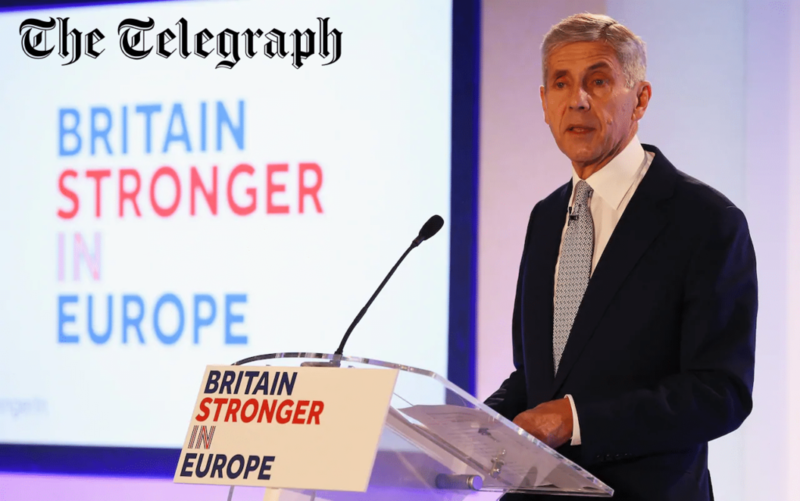 Mrs May’s Brexit plan is 585 pages of British powers being surrendered to Brussels. You could, if you had the time, make of list of the lot – surrender over our trade, our regulations, our fisheries, our money, on through every page. However, there is one surrender that appears in no article or annex. And yet history tells us the surrender is there. 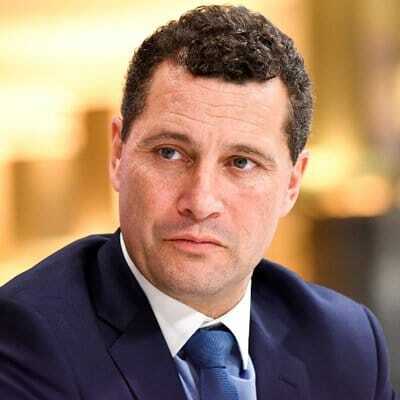 The final surrender the Prime Minister and her colleagues in the EU have hidden in the deal is the power of the UK to leave the control of the EU, ever. Let me give you a lesson from American history. The most famous political union in history is that of the 13 independent states which broke from Britain by war in 1776 and then joined into a federal union by 13 acts of sovereign consent in 1789. These United States signed up to a highly-limited system of federal government which kept the individual states sovereign. However, almost from the start, the New England States were unhappy with the union. The move by these States to leave what was then an economic, monetary and political union – and you do see the parallel I’m drawing – came in 1814. At that point, the New England States were fed-up with what the War of 1812 against the British, driven by Southern sympathy towards the French against the British, was doing to their trade. That was the immediate grievance of the New England States. Their long-term grievance was over the balance of political power that gave the Southern States, particularly Virginia, the richest of all the States, effective control of the federal government. 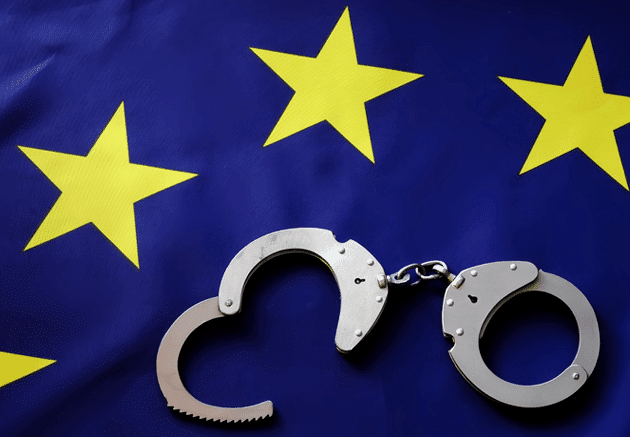 For a parallel in the EU, think of the German-French-Eurocrat axis of control over the EU. 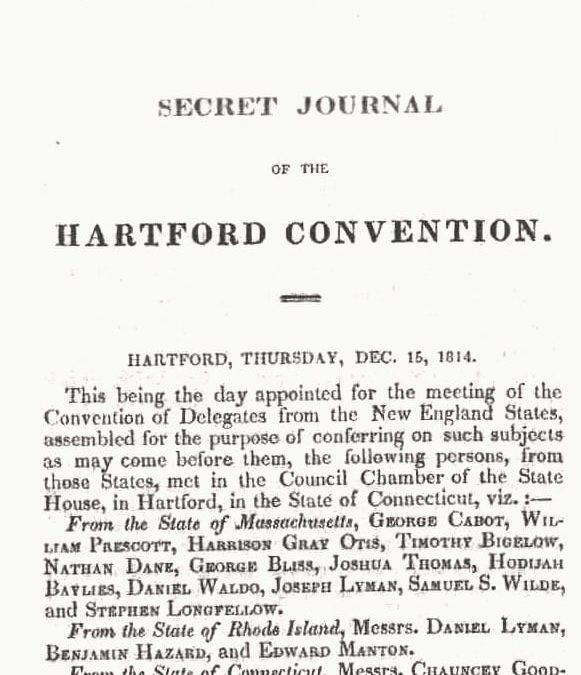 In 1814, the New England delegates met in secret sessions at the Hartford State House in Connecticut for three weeks to draft a formal protest against the Federal Government’s continued involvement in the war, which allied the United States with France against Great Britain. They denounced the conflict as ‘Mr Madison’s War’—Mr Madison was President, the fourth U.S. President and third Virginian to hold the office. The New England States organised a delegation to be sent to Washington to present their demands. 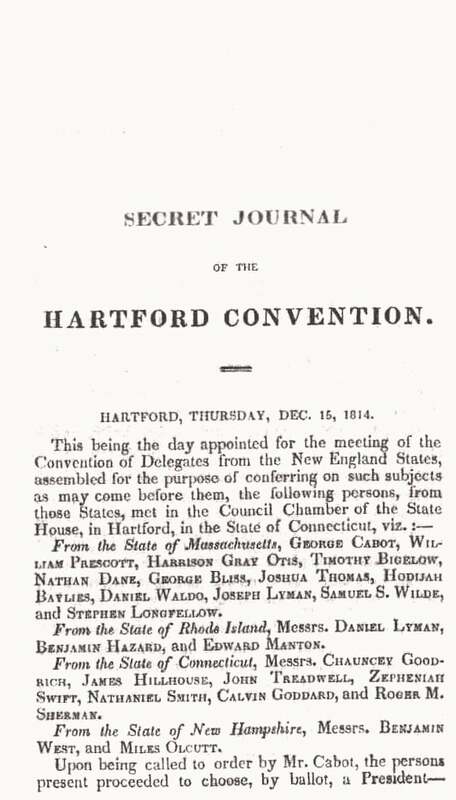 If the federal government would not consider their demands, many of the delegates of the Hartford Convention were ready to call for secession. The momentous ‘crisis’ would be a decision for secession. No one was in doubt that the New England States could secede from the Union. The only question was whether they would. As it happened, while the New England delegation were traveling to Washington, word reached them of the overwhelming victory of General Andrew Jackson against the British forces at the Battle of New Orleans, which indicated the war could soon be over. Then on reaching Washington, they learned that the Treaty of Ghent had been signed between U.S. and British diplomats, ending the war. The Hartford Convention delegates returned home. Peace had resolved their grievance. But their lesson lives on. Just because no one doubts the right of a sovereign State to withdraw from a political and economic union today doesn’t mean that next year – or next decade – that right will still be respected. In 1814, the New England states freely declined to exercise their right to leave the Union. In 1861, the Southern States chose not to decline to exercise that same right…and while what happened next is a story for another day, the Hartford Convention remains a lesson for Britain now.